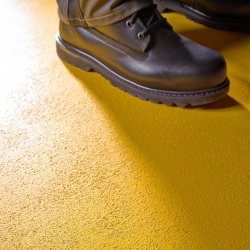 501 Anti Slip Floor Paint is a safety coating suitable for indoor and outdoor use where a sure foothold is required. Ideal for boats, steps and stairways, disabled ramps, doorways, machinery areas, most floors and other areas where moisture and other substances may cause the floor to be slippery. 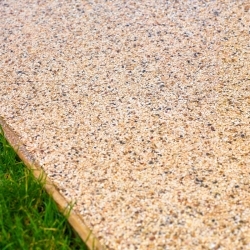 Suitable for use on suitably prepared concrete, wood, metal and GRP. All surfaces should be clean, dry, sound and free from contaminants. Concrete - power floated, granolithic and smooth surfaces should be roughened first to provide a good "key" for the paint. This can be done mechanically by abrading or blasting, or chemically using Coo-Var Acid Etch. 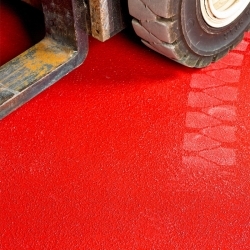 These processes will have the advantage in addition to preparing the surface of also removing dirt and laitance. New concrete must be allowed to cure thoroughly which can take up to 3 months. Apply a 10% thinned coat of 301 Industrial Floor Paint to prime and seal the surface prior to applying 501 Anti Slip Floor Paint. Stir well before use (do not shake). Application conditions are as dictated by normal good painting practice. In confined spaces, provide adequate ventilation during application and drying. Use a suitable wood primer on wood, zinc phosphate metal primer on ferrous metals, 10% thinned 301 Industrial Floor Paint on concrete. Not suitable for areas with bare feet. I am looking to use your light Grey 501 anti slip floor paint onto brand new self levelling latex, will this make it waterproof ? and does it need a primer or etch ? or would a thinned pre coat be fine ? 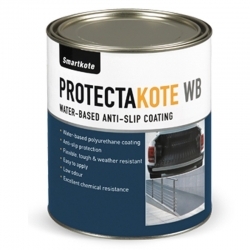 To apply an anti-slip coating to aluminium we would usually suggest Smartkote Protectakote 2K Metal Primer followed by Smartkote Protectakote UVR. 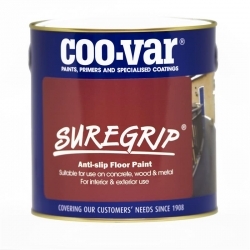 501 Anti-Slip Floor Paint should be ideal for this application, on new wood we recommend Coo-Var Penetrating Wood Primer be applied first. Hi I have a sloping drive which becomes very slippery when wet. It appears to be a painted concrete surface. Would your 501 anti slip paint be suitable for this. Potentially, but as we don't know what the drive is currently painted in you will have to carry out a test area prior to full application to ensure adhesion/compatibility. After cleaning and preparation as per the product data sheets, apply 1 coat of 301 Industrial Floor Paint thinned 10% with white spirit. Allow to dry overnight, then apply 2 coats of 501 Anti Slip Floor Paint allowing at least 16 hours between coats. Hello, Just finished my Narrowboat roof in the Blue 501 Anti Slip Floor Paint. Really happy with it, but would like to detail some areas on the boat in the same colour without the aggregate. Could you supply this? 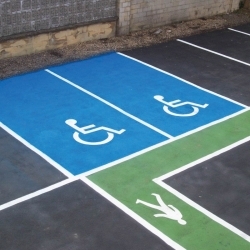 Yes, the nearest colour to our 501 Anti Slip Floor Paint in Blue is BS 18D43. 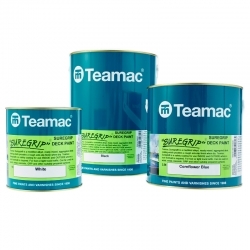 This colour can be produced in something like Teamac Marine Gloss or Rust-Oleum CombiColor. 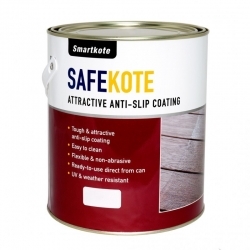 Smartkote Safekote can be applied to glazed tiles after the application of Smartkote Protectakote Clear Primer Treatment, see product information and data sheets for full details. Do you have a non slip paint suitable for an aluminium van ramp, used for wheeled flight cases? 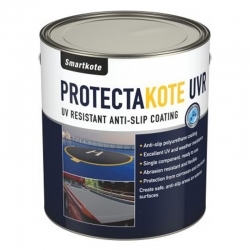 We would recommend Smartkote Protectakote UVR for this. Abrade to fresh metal, clean well using detergent. Prime with Smartkote Protectakote 2K Metal Primer as per instructions within 30 minutes. 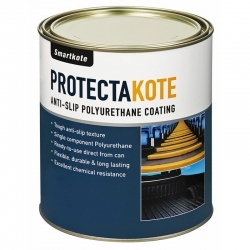 Then apply Smartkote Protectakote UVR as per instructions, you may also be interested in Smartkote Protectakote UVR Accelerator and Smartkote Protectakote Safety Grip to be used in conjunction with your application. Question: I want to put a non slip path on my block paved driveway using 501 anti slip floor paint. I have jetwashed the area I want to paint. Can I paint direct to this cleaned surface OR is there other preparatory work I need to do first? After cleaning a priming coat of 301 Industrial Floor Paint thinned 10% with White Spirit should be used before application of 501 Anti Slip Floor Paint. On suitably prepared bare concrete a priming coat of 301 Industrial Floor Paint thinned 10% with White Spirits should be used before application of 501 Anti Slip Floor Paint. Yes - 407 Multi Surface Primer. 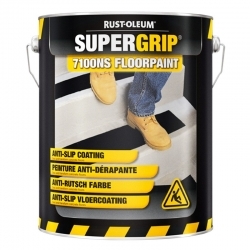 Question: Is Anti slip paint 501 suitable for an external meta staircase and can it be applied over a previous coat of anti slip paint? It is suitable for use on external metal staircases. Any bare metal areas should be prepared and primed with a suitable primer. 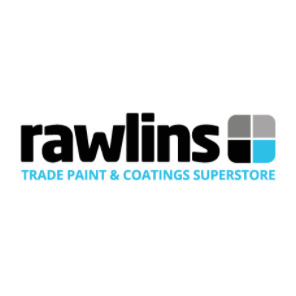 Existing paint should be well adhered, clean and abraded to provide a key if necessary before application of 501 Anti Slip Floor Paint directly to the surface. We would recommend priming the aluminium with 707 MMA Metal Primer and finishing with 703 MMA Flexible Anti-Slip Coating. 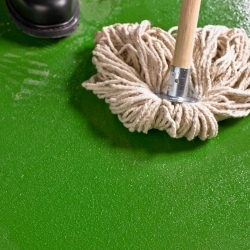 Mopping this product certainly won't remove it as it is a durable coating that can also be used externally but it does have a very rough texture to the finished surface which will make it nearly impossible to mop. If you require an anti-slip coating you can clean for internal areas, we would recommend 503 Easy Clean Anti Slip Coating. Smartkote Protectakote is a single component, ready-to-use, anti-slip coating with polyurethane performance for ultimate toughness. 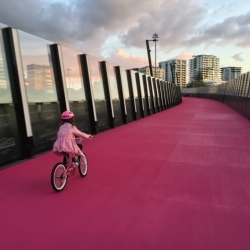 The course profile textured surface is ideal for interior floors, factory work-stations, walkways, stairs, ramps, vehicles and other areas where a flexible, durable and long lasting anti-slip surface is important.